Greetings Distillers! Your hosts Mac & Ryan have returned from holiday festivities and eastern climes to bring you another episode of Disney Distilled! Trader Sam’s knows how to theme out everything- check out their Tiki Beer Pulls! 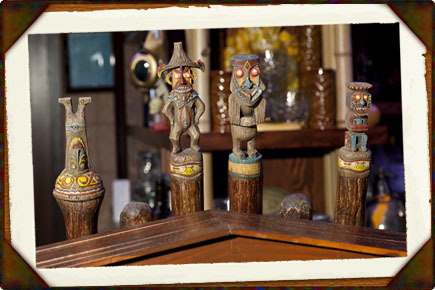 This week, we are going easy and featuring the Longboard Lager from Kona Brewing Company- as served in Trader Sams’ Enchanted Tiki Bar! Grab a bottle opener and open ‘er up! In this episode, there are some quick news stories, and then on to our main topic- our 2018 Walt Disney World trip report! Including all the new experiences at Pandora in Animal Kingdom, the good, the bad, and the ugly of night-time spectaculars and wishes granted at non-Disney parks?